Nearly 40 per cent of 371 Boeing 737 Max 800 in operation globally have been grounded as Australia and Singapore joined the growing list of nations banning the use of the troubled aircraft. This is despite assurances by the United States aviation authorities that the plane is safe. Aviation industry publication said China, with 97 Max 800 planes in service, accounts for the bulk of the grounded planes, estimated at 148. There are 371 Boeing 737 Max 800 planes in service. Ethiopian Airlines, which has four other 737 MAX 8 jets, said it was grounding them as a precaution. Gol in Brazil temporarily suspended MAX 8 flights, as did Argentina’s state airline Aerolineas Argentinas and Mexico’s Aeromexico. Singapore Airlines, whose SilkAir brand operates 6 Boeing 737 MAX aircraft, said it has temporarily withdrawn its fleet and would re-accommodate affected customers. Other airlines that operate Boeing 737 MAX aircraft to Singapore – China Southern Airlines, Garuda Indonesia, Shandong Airlines and Thai Lion Air – are also affected. Although the United States later modified its position on the safety of the plane, by saying it will mandate Boeing to implement design changes by April for the 737 MAX 8, Australia and Singapore felt that precautionary steps are necessary after the second fatal crash of the plane, killing 157 people in Ethiopia. Australia’s Civil Aviation Safety Authority followed Singapore’s lead with a temporary suspension to review the risks, citing the best interests of safety. Singapore’s Civil Aviation Authority (CAAS) showed question-marks hanging over the aircraft after Sunday’s disaster could not be dispelled so fast. “During the temporary suspension, CAAS will gather more information and review the safety risk associated with the continued operation of the Boeing 737 MAX aircraft into and out of Singapore,” the regulator said in a statement. It was the first major regulator to order such an action, but the anxiety was also evident among air travellers, who rushed to find out from social media whether they were booked to fly on 737 MAX planes – the same model involved in the Lion Air crash off Indonesia that killed 189 people in October. There has been no information yet to link the Lion Air and Ethiopian Airlines incidents. On Monday, Indonesia, Ethiopia, China announced they were grounding their fleets of the U.S. planemaker’ s latest model, after the second crash in five months. Nearly 40 percent of the in-service fleet of 371 Boeing 737 MAX jets globally is grounded, according to industry publication Flightglobal, including 97 jets in the biggest market, China. The scare has wiped billions of dollars off the market value of the world’s biggest planemaker, as the Boeing Co share closed 5 percent down on Monday having fallen by as much as 13.5 percent at one point. 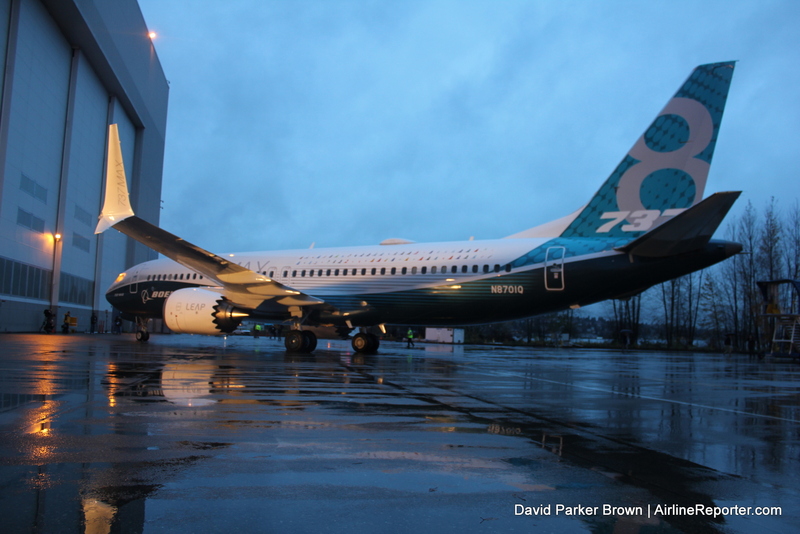 The U.S. Federal Aviation Administration (FAA) issued a “continued airworthiness notification” for the 737 MAX late on Monday to assure operators, and detailed a series of design changes mandated by Boeing. Boeing issued a statement as well, saying it had been working with the FAA in the aftermath of a Lion Air crash to develop enhancements to flight control software that will be deployed across the 737 MAX fleet in coming weeks. The new MAX 8 variant of the 737, the world’s best-selling modern passenger aircraft, has bigger engines designed to use less fuel. It entered service in 2017.